The Pyramids of Egypt have been voted the nations’ favourite landmark in a survey by Truprint.co.uk. Truprint, the online digital photo printing service (and Golden Goose PR client), asked 1,000 Brits to pick their most-loved site. The Taj Mahal, Sydney Opera House, Great Wall Of China and Statue of Liberty were amongst those battling it out for the top spot. The ancient tombs at Giza came out number one with 20% of the vote, closely followed by London’s Big Ben. So why are the stony peaks more popular than our own chiming clock tower? The Pyramids are breath-taking at any angle, from sunrise to sunset. Just think how often a picture of the Eiffel Tower or the Leaning Tower of Pisa can look like a strange hat on the top of someone’s head? 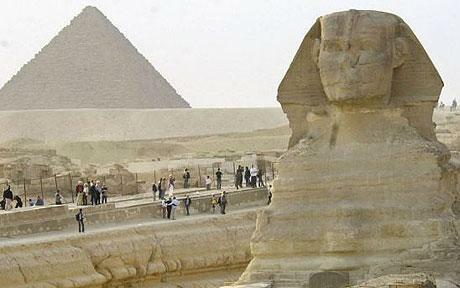 Even the an amateur photographer would find it hard to get a bad snap of the Egyptian World Wonder.